2 Why is scaling important? 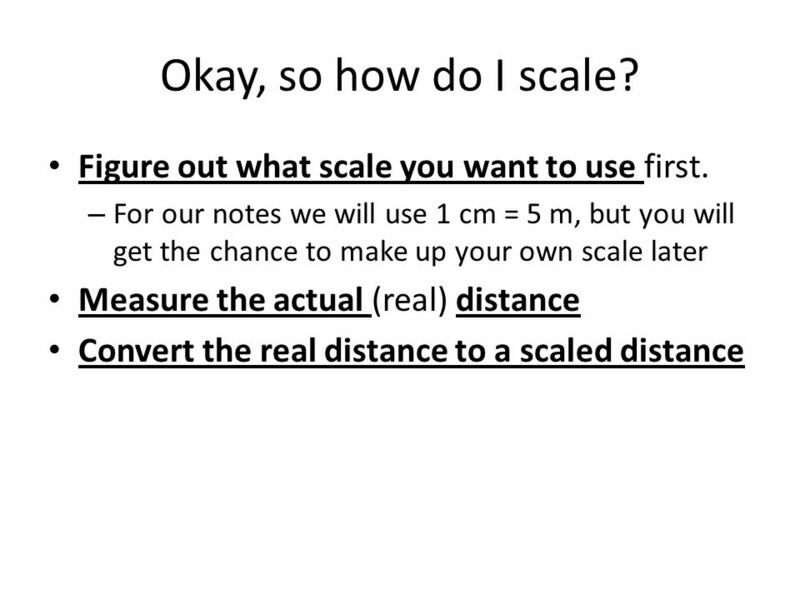 5 Okay, so how do I scale? Figure out what scale you want to use first. 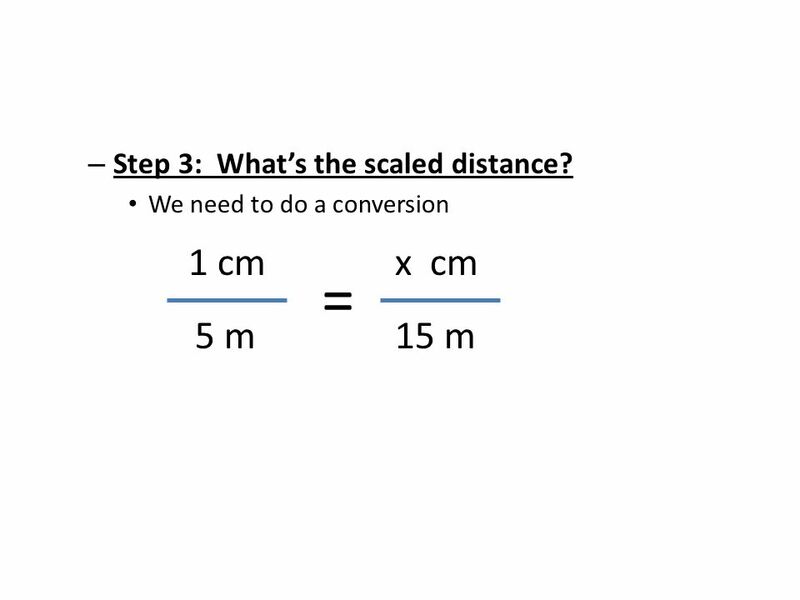 7 = 1 cm 5 m x cm 15 m Step 3: What’s the scaled distance? 10 Practice Main Street at Disneyland is 225 m long. 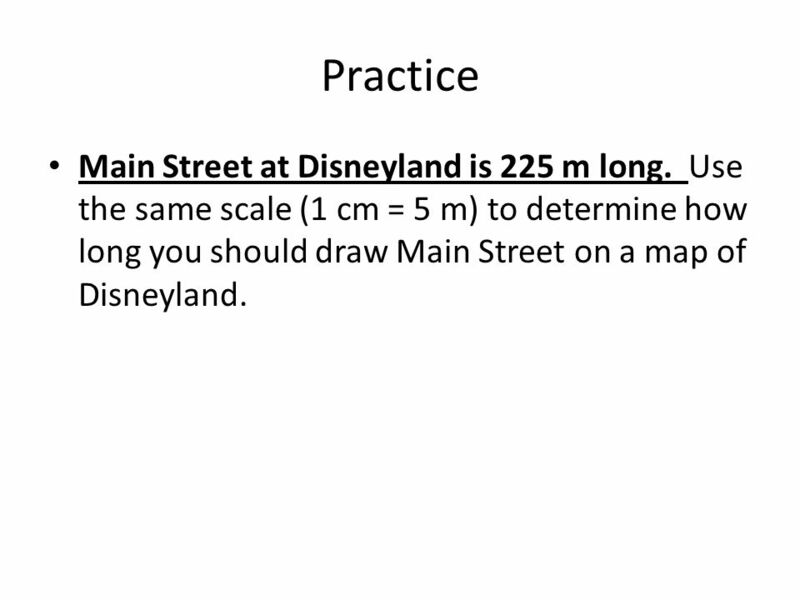 Use the same scale (1 cm = 5 m) to determine how long you should draw Main Street on a map of Disneyland. 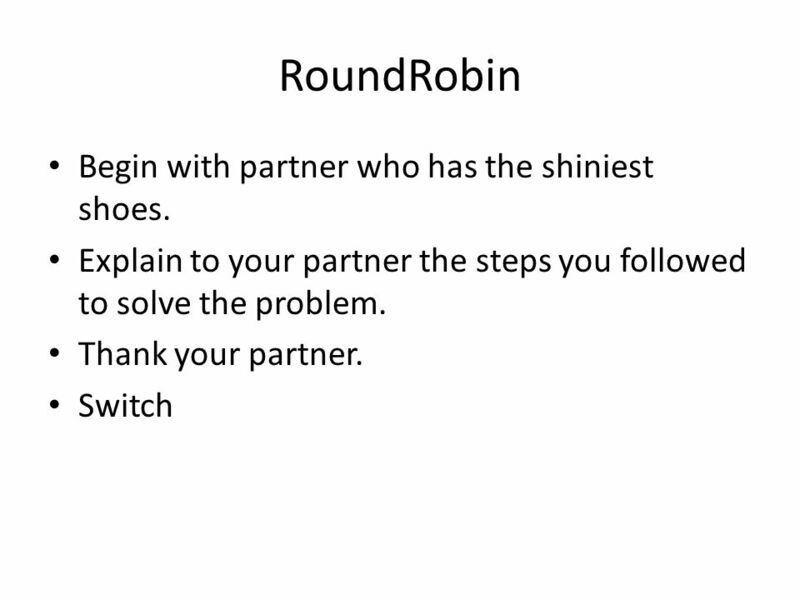 11 RoundRobin Begin with partner who has the shiniest shoes. 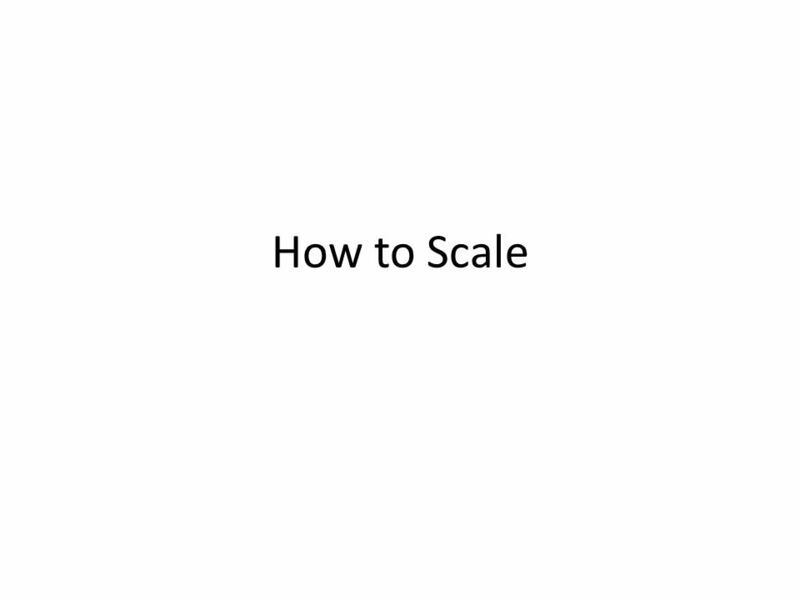 Download ppt "How to Scale." I Can Solve Problems Using Scale Drawings! Properties of Proportions 7-2. 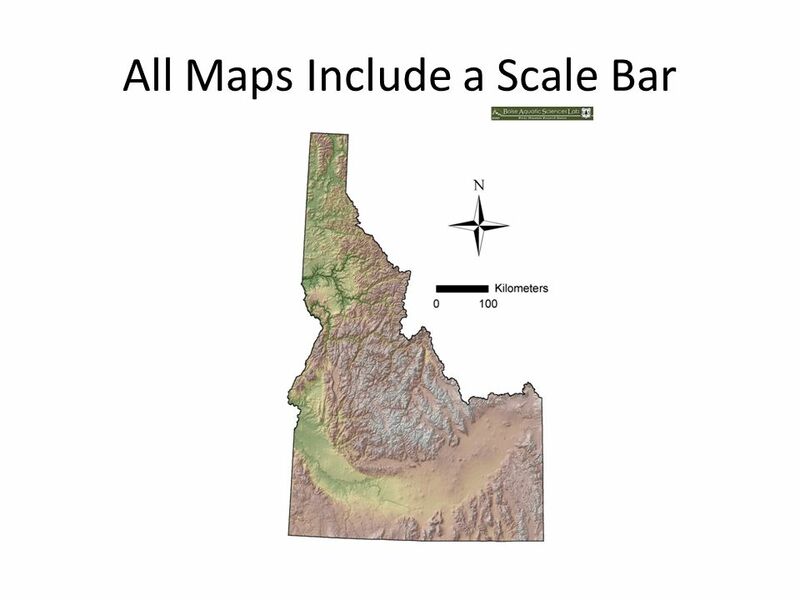 EXAMPLE 4 Use a scale drawing SOLUTION Maps The scale of the map at the right is 1 inch : 26 miles. Find the actual distance. 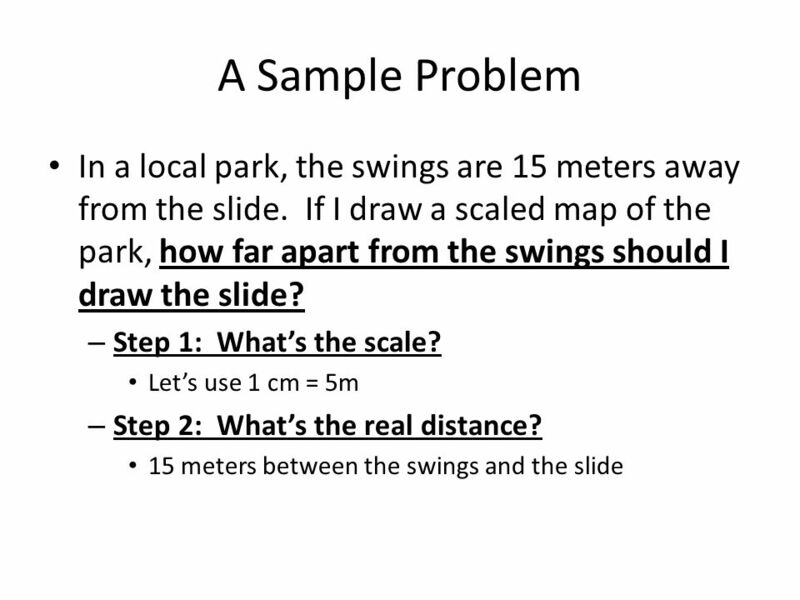 SCALE FACTORS MODELS & MAPS In addition to level 3.0 and above and beyond what was taught in class, the student may: · Make connection with other. Module 2 Lesson 9 Measure and compare lengths Review Mei’s frog leaped several centimeters. Then it leaped 34 centimeters. In all, it leaded 50 centimeter. EXAMPLE 4 Use a scale drawing SOLUTION Maps The scale of the map at the right is 1 inch : 26 miles. Find the actual distance from Pocahontas to Algona. Quiz 6B Review Ratio, Unit Rate, and Conversion Factors. Learning Target I can use proportional reasoning to solve scale drawing problems. 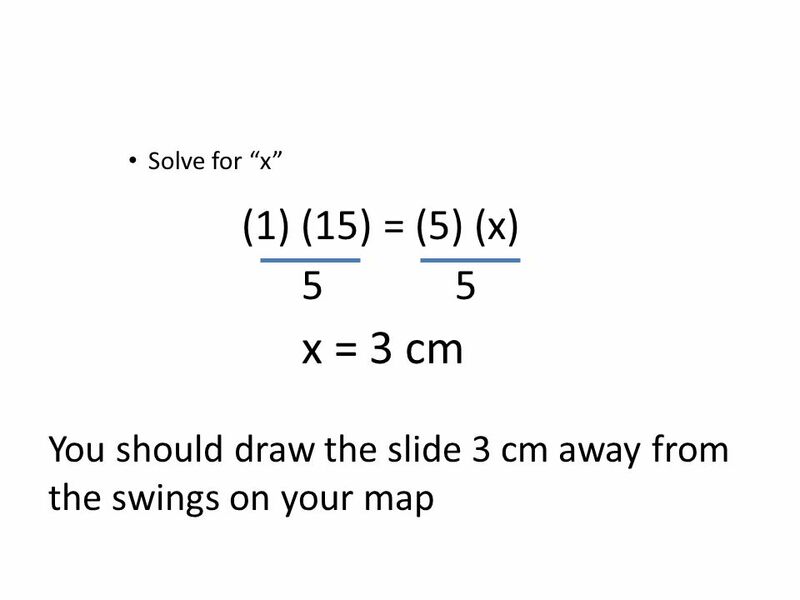 Bell Work When given the equation: 2x + 3 > x +5 Solve for x. Explain how you got your answer. RATIOS OF SCALE DRAWINGS. SCALE DRAWINGS SCALE DRAWINGS: A scale drawing is a drawing that represents a real object. The scale of the drawing is the ratio. 1 Lesson Conversions and Proportions. 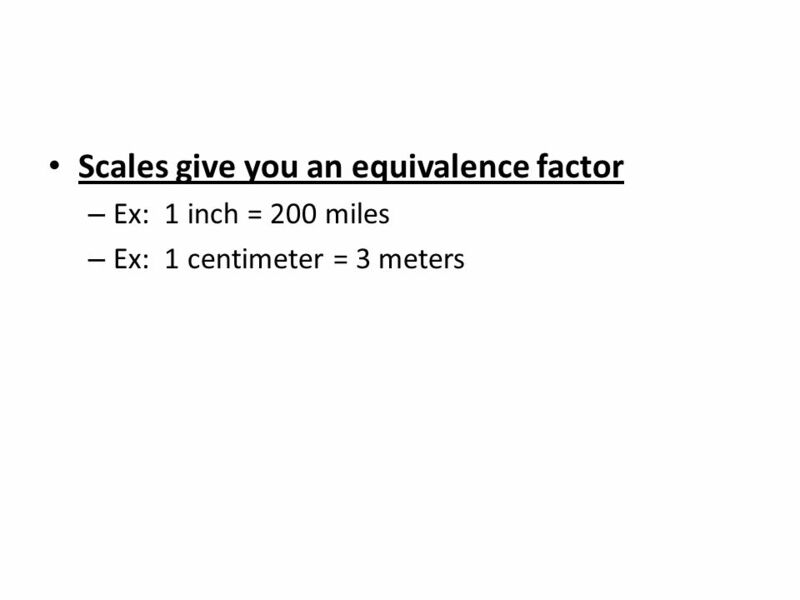 2 Lesson Conversions and Proportions California Standard: Algebra and Functions 2.1 Convert one unit. Problem of the Day 1) Find the Length of the missing side. 6-8 Scale Drawings How did they do that????. Over Lesson 6–5 A.A B.B C.C D.D 5-Minute Check 1 Write a proportion. Then solve. 18 donuts in 3 boxes, 30 donuts in b boxes There are approximately 2.54. Converting Units in the Metric System Lesson 9-2. Map Scale Looking at the maps on the screen ask the students which one has the largest scale? This will remind the students of what they have already learnt. 2.5 Solving Proportions Write and use ratios, rates, and unit rates. Write and solve proportions. 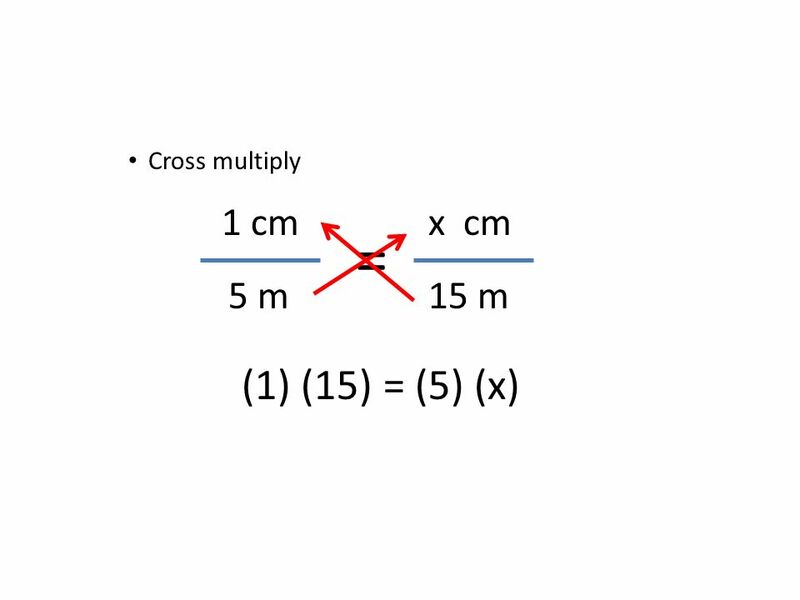 CROSS-MULTIPLYING WITH PROPORTIONS. NS 1.3 Use proportions to solve problems (e.g., determine the value of N if 4/7 = N/21, find the length of a side. .. 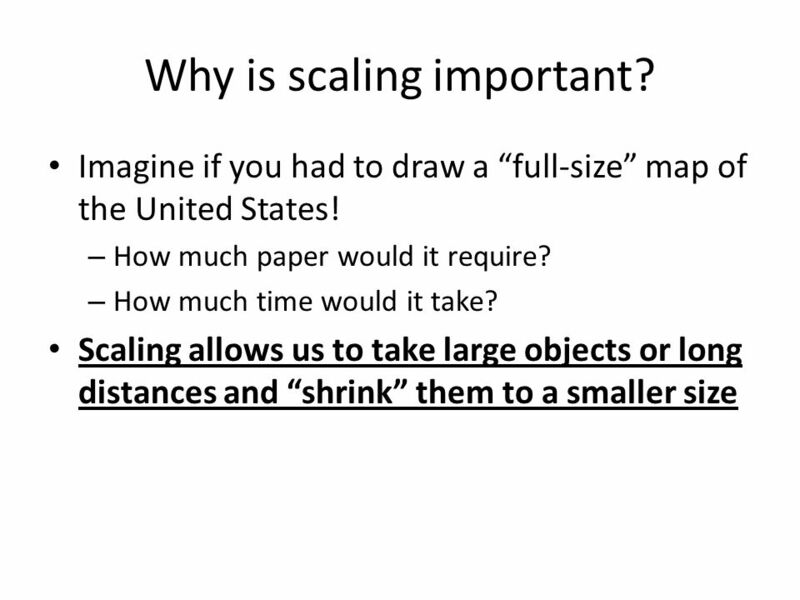 Objectives: Students will be able to:  Understand what scale drawings are.  Find the scale of a drawing  Convert map distances to actual disctances.